You'll be based at the Auberge Nordique (www.auberge-nordique.com) in the village of Grand Bornand - near La Clusaz in France for this five day course, preparing you to become an International Mountain Leader. This superb venue gives us a perfect base for the week, providing accommodation in comfortable, warm rooms for 3-4 people. You'll be equipped for more than just "coping with winter" as you hone the skills you need to look after your group on snow - whatever the season. 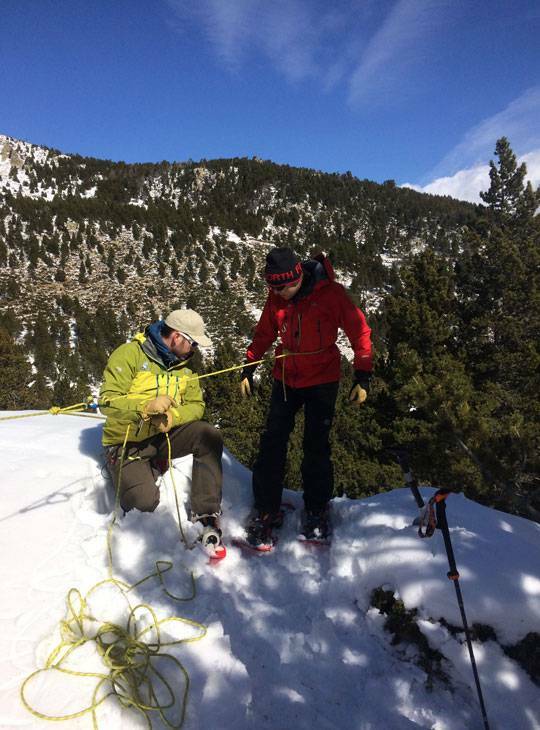 Our highly qualified experienced instructors will develop your knowledge of all aspects of the winter environment through both practical application on the mountains and some short technical lectures. As always, the skills of navigating will form an integral part of each day's activities. The International Mountain Leader scheme (IML) provides comprehensive training and assessment for individuals who aspire to work as leaders in Europe and further afield. It integrates training, experience and assessment in a variety of realistic situations. The scheme provides training and assessment in the skills required for leading and educating groups worldwide in summer conditions and also on easy snow-covered, rolling, Nordic-type terrain in the “middle mountains” in winter conditions. The scheme does not involve the techniques and equipment of mountaineering, alpinism or glacial travel. 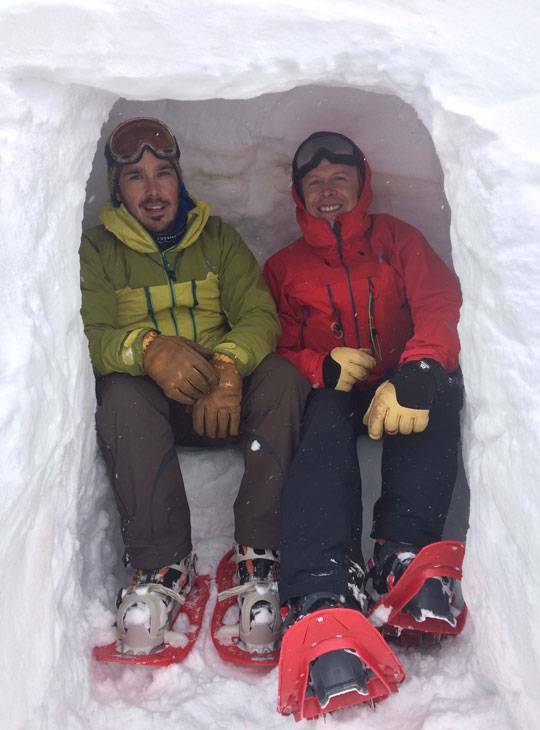 Avalanche awareness and snow pack evaluation. You should be 18 years old to attend this course. You must have completed an IML Summer training course. 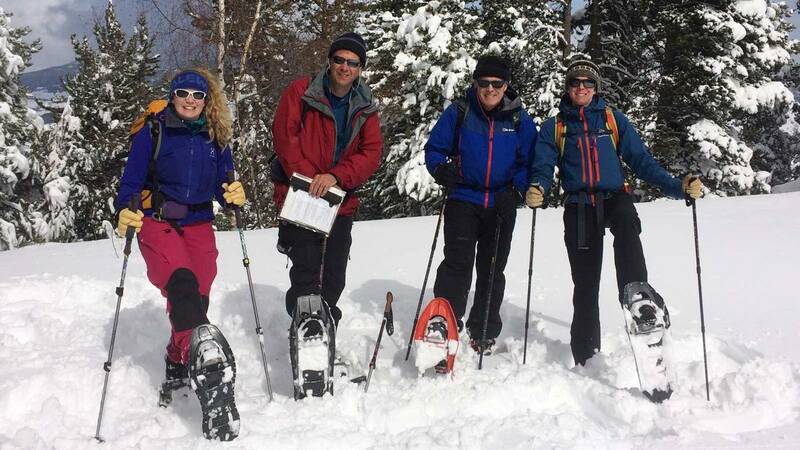 It's advisable to gain some snowshoe experience prior to attending this course. It's also useful to bring a towel, hut slippers for walking around the Auberge Nordique and extra tea bags.